The Lions Club of Greenwich, chartered in August 1923, and the Old Greenwich Lions Club, chartered in May 1933, merged in September 2016. On October 13, 2016, we celebrated the re-chartering of the Lions Club of Greenwich. The New organization thus boasts a proud combined 186 years of service to the Town of Greenwich. Our current members come from all walks of life: working professionals and tradesmen, retired individuals, spouses and young people. We are an inclusive organization and our members need possess only one quality: the desire to serve our community and all around the world. We fulfill our mission through activities and service projects to help people in the town of Greenwich and in the world. Our 46.000 clubs and 1.4+ million members make us the world’s largest service club organization. We’re also one of the most effective. Our members do whatever is needed to help their local communities. THE LIONS CLUB FOUNDATION OF GREENWICH , INC. is always pleased to receive donations. Anyone wishing to help support our many projects please contact Douglas Carlson at 203.637.7575 or connect with us via email and mailing adddress as follows. LIONS HAVE A DYNAMIC HISTORY Founded in 1917, we are best known for fighting blindness, but we also volunteer for many different kinds of community projects - including caring for the environment, feeding the hungry and aiding seniors and the disabled. LIONS GIVE SIGHT By conducting vision screenings, equipping hospitals and clinics, distributing medicine and raising awareness of eye disease, Lions work toward their mission of providing vision for all. We have extended our commitment to sight conservation through countless local efforts and through our international SightFirst Program, which works to eradicate blindness. LIONS SERVE YOUTH Our community projects often support local children and schools through scholarships, recreation and mentoring. Internationally, we offer many programs, including the Peace Poster Contest, Youth Camps and Exchange and Lions Quest. Our Leo Program provides the youth of the world with an opportunity for personal development through volunteering. 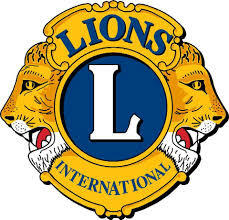 There are approximately 144,000 Leos and 5,700 Leo clubs in more than 140 countries worldwide. 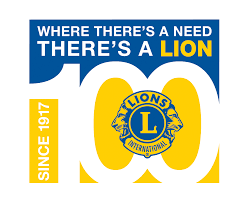 LIONS AWARD GRANTS Since 1968, the Lions Clubs International Foundation (LCIF) has awarded more than US$700 million in grants to support Lions humanitarian projects around the world. LCIF was also ranked the number one nongovernmental organization in a 2007 study by The Financial Times. LIONS HELP DURING DESASTERS Together, our Foundation and Lions are helping communities following natural disasters by providing for immediate needs such as food, water, clothing and medical supplies – and aiding in long-term reconstruction. LIONS ARE ACTIVE Our motto is "WE SERVE" Lions are part of a global service network, doing whatever is necessary to help our local communities.